Fly Valencia to NYC Direct with Delta »« Hola Kentucky! Valencia’s City of Arts & Sciences is celebrating Marine Biodiversity Week with a series of events, through November 16th. As one might suspect, most of the action will take place in the Oceanographic, but there is a full program of activities throughout the complex. From special movies at the Hemispheric’s IMAX to special exhibitions like “Deeper than Light” at the city’s access building, there’s plenty to do. There’s even sea-inspired yoga classes, for the love of Christ Neptune. The week of the Living Sea is set to coincide with an international sea biodiversity summit being held in the City of Arts & Sciences, and the goal is to generate awareness of the existential threats facing the oceans’ myriad animal & plant life. 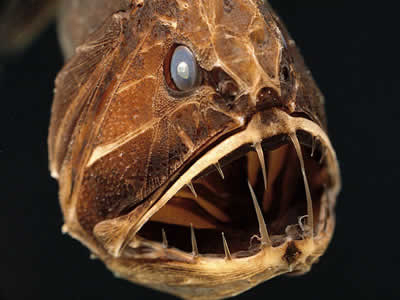 This fearsome fish is hideous because it didn’t love Jesus enough. Repent, Devil Fish!